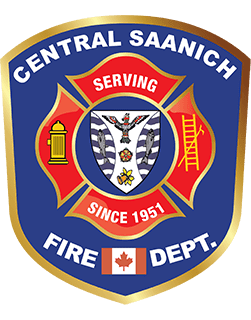 The Central Saanich Municipality is well served by the Central Saanich Fire Department's dedicated and experienced firefighters. All of our 6 career firefighters and 48 volunteer members are dedicated fire suppression and rescue professionals trained and certified under the British Columbia firefighters training program. In times of emergency, PEMO provides Emergency Social Services, Communications, Search and Rescue, and Neighborhood Emergency Preparedness on the Saanich Peninsula. This group primarily serves the District of Central Saanich, District of North Saanich, and the Town of Sidney. It is also part of the Capital Regional District. EMBC is a division of the Ministry of Public Safety and Solicitor General, Emergency Management BC. EMBC works with local governments year round, providing training and support before, during, and after emergencies.